The Eastern Gorilla – the largest living primate – has been listed as Critically Endangered due to illegal hunting, according to the latest update of The IUCN Red List of Threatened Species released Sunday, September 04, 2016 at the IUCN World Conservation Congress taking place in Hawaii. Four out of six great ape species are now Critically Endangered – only one step away from going extinct – with the remaining two also under considerable threat of extinction. The Eastern Gorilla (Gorilla beringei) – which is made up of two subspecies – has moved from Endangered to Critically Endangered due to a devastating population decline of more than 70% in 20 years. Its population is now estimated to be fewer than 5,000. 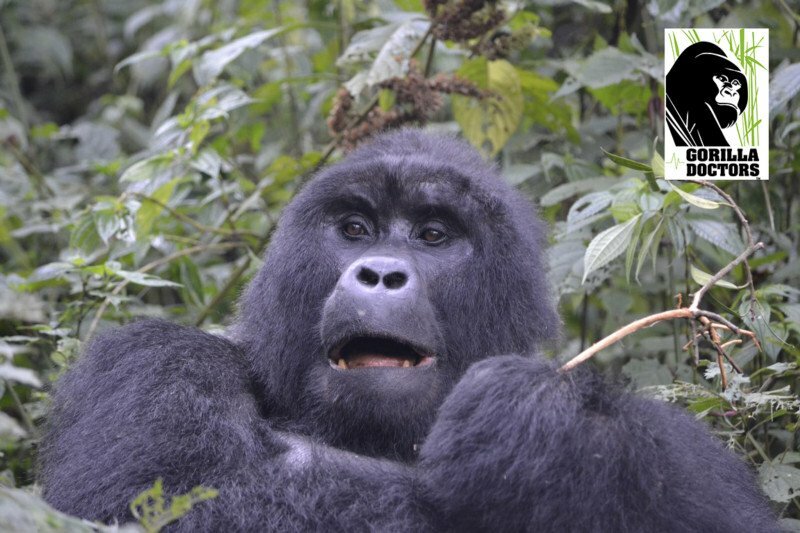 Grauer’s Gorilla (G. b. graueri), one subspecies of Eastern Gorilla – has lost 77% of its population since 1994, declining from 16,900 individuals to just 3,800 in 2015. 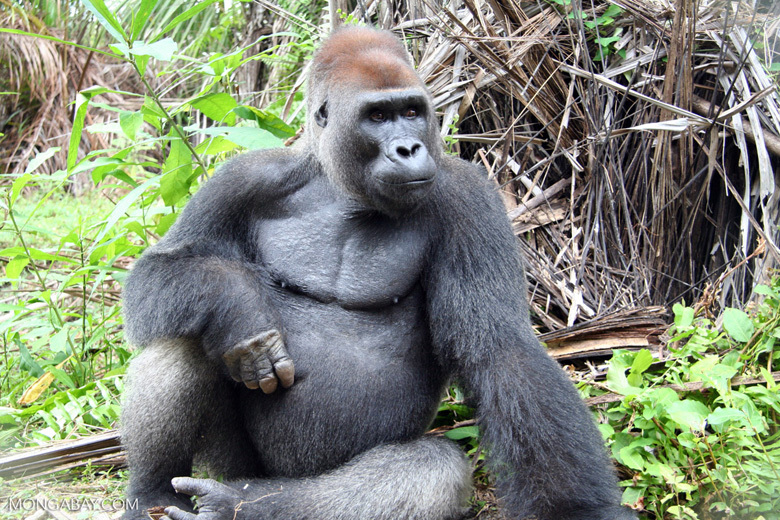 Killing or capture of great apes is illegal; yet hunting represents the greatest threat to Grauer’s Gorillas. The second subspecies of Eastern Gorilla – the Mountain Gorilla (G. b. beringei) –is faring better and has increased in number to around 880 individuals. Four of the six great apes – Eastern Gorilla, Western Gorilla, Bornean Orangutan and Sumatran Orangutan – are now listed as Critically Endangered, whilst the Chimpanzee and Bonobo are listed as Endangered. Invasive species such as pigs, goats, rats, slugs, and non-native plants are destroying the native flora in Hawai’i. The latest results show that of the 415 endemic Hawaiian plant species assessed so far for The IUCN Red List (out of ca. 1,093 endemic plant species), 87% are threatened with extinction, including the Endangered ‘Ohe kiko’ola (Polyscias waimeae) – a beautiful flowering tree found only on the island of Kauaʻi. Thirty Eight have been listed as Extinct, including the shrubs ‘Oha Wai (Cyanea eleeleensis) and Hibiscadelphus woodii. Four species have been listed as Extinct in the Wild including the Haha (Cyanea superba) last seen in the wild in 2003. Invasive species are the main threat to all of these species, with many being threatened by more than one invasive species. The IUCN Species Survival Commission (SSC) Hawaiian Plant Specialist Group anticipates the remaining species to be assessed will also be highly threatened. Previously listed as Endangered, The Giant Panda (Ailuropoda melanoleuca) is now listed as Vulnerable, as its population has grown due to effective forest protection and reforestation. The improved status confirms that the Chinese government’s efforts to conserve this species are effective. However, climate change is predicted to eliminate more than 35% of the Panda’s bamboo habitat in the next 80 years and thus Panda population is projected to decline, reversing the gains made during the last two decades. To protect this iconic species, it is critical that the effective forest protection measures are continued and that emerging threats are addressed. The Chinese government’s plan to expand existing conservation policy for the species is a positive step and must be strongly supported to ensure its effective implementation.